A&B have recently been awarded a contract to complete the painting and decorating works at this prestigious development for Higgins Construction. 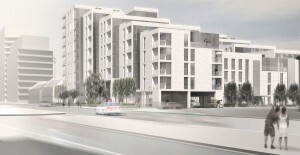 A&B are going to be completing all decoration works to a total of 125 units and communal areas. 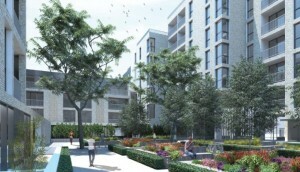 The tenure mix comprises of 55 private sale, 51 shared ownership and 19 affordable rent. The project also includes 277m2 workshop space and incorporates a 150m2 basement plant room, new electrical substation and 60 car spaces within the undercroft ground floor level.